If you ask somebody that does not live in or has not been to Australia what the capital of the country is, and the answer you likely get 95%+ of the time is … Sydney. WRONG! This leading nation’s centre can be found in the interior planned city of Canberra, located three hours from Sydney in the amongst some of Australia’s finest outdoor surroundings outside of the desert more commonly associated with the outback. While there is much to do in the natural surroundings of the capital and the land within a short drive, most people don’t experience it because they are too wrapped up in exploring the cities, beaches and other popular tourist destinations for which Australia is better known. When you make your way out to Oz on your trip soon, diverge from the pack for a few days and discover the natural assets of one of Australia’s least known cities. During the summer, the mountains and hills surrounding Canberra come alive with throngs of envelope pushing cyclists, pushing each other to achieve ever more challenging lines. 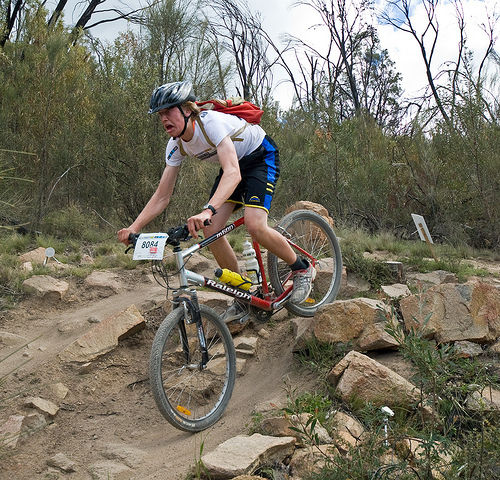 The best mountain bikers congregate at Stromlo Forest Park, where world class competitions occur every year, but with four other major areas that descend through fragrant pine forests, courses of varying difficulty are available for those of any skill level. While Canberra proper sees little snow even in the depths of winter, it is a dramatically different story on the mountains that see the aforementioned biking action during the summer. At the Corin Forest Mountain Resort, when the snow gods smile upon the high country of southern Australia, amazing sliding can be had, and even when the slopes have insufficient cover, the artificial “bobsled” run allows you to slide down the inclines here at a speed that will draw thrills for you and your travel companions. It’s a shame that most travelers only see kangaroos when they have been struck dead by truck/car traffic on the sides of the road when going from point to point in Oz. With Canberra being situated in a much more rural setting than other locales on the east coast, spotting kangaroos is a much easier task. According to third party reports, they can be spotted in a field by a building known as the Campbell Park Offices, where the lovable creatures graze approximately one hour prior to sunset, or pull yourself out of bed early at your Canberra hotel in the morning so you can get to the field before 8 to 9 am. For a range of cool hotels in Canberra, I recommend Accor. While it is good to go to popular tourist destinations (they’re popular for a reason), getting off the beaten track often yields hidden rewards. When you uncover these treasures, they are shared amongst fewer people, making these experiences much more special.